Community connections can happen in any place, at any time. Recently I was on a strategy conference call and I mentioned the work I do around Disability justice. A young parent messaged me after the call wanting to know how he could best support his six-year-old disabled son. I had just finished reading, What Matters: Reflections on Disability, Community and Love by Janice Fialka and knew it was the perfect book to help him on this journey with his son. Imaginative and honest What Matters builds upon a foundational essay from when Janice first learns of her son’s diagnosis and continues through almost 4 decades of growth and activism. Janice’s poetry and essays provide a heart-centered context to navigating and eventually advocating for a path of inclusion. Essays from the entire family provide a 360° perspective of Micah’s journey through school and out into the world. Micah’s sister shares lessons she’s learned through growing up with a disabled sibling. In Rich’s essay, Micah’s dad accurately states, “We knew that the ‘system’ would not provide most, if any security.” (Page 225) Micah speaks to this point in several essays and interviews where he describes building support systems to live the life he wants to lead. I wonder if one day the son of this young father could see Micah as a role model, not to be like, but in the sense of having and pursuing dreams? How do we create community around families and disabled people to live interdependently in the world? How does this happen outside of or in partnership with systems of support? Through exploring friendship, working with professionals, developing a Circle of Friends as on-going structure of support, and connecting to disability community and pride, this book provides a lens to view one family’s journey to find the answers. Building community is a nuanced endeavor. I’m excited for this young father to have a real life, tangible example of how one family created community to fill the systems’ gaps. I imagine this father meeting the professionals in his son’s life having a clear understanding of how his feelings and reactions aren’t unusual or his to bear alone. Even more importantly, I hope that after reading Janice’s advice to professionals, he may be better able to articulate what he and his son need. Sometimes at the beginning, when everything is hazy, scary and unknown, all we need is a light to show a brightly and briefly a larger landscape of possibility. May What Matters be one lighthouse in this young father’s voyage. 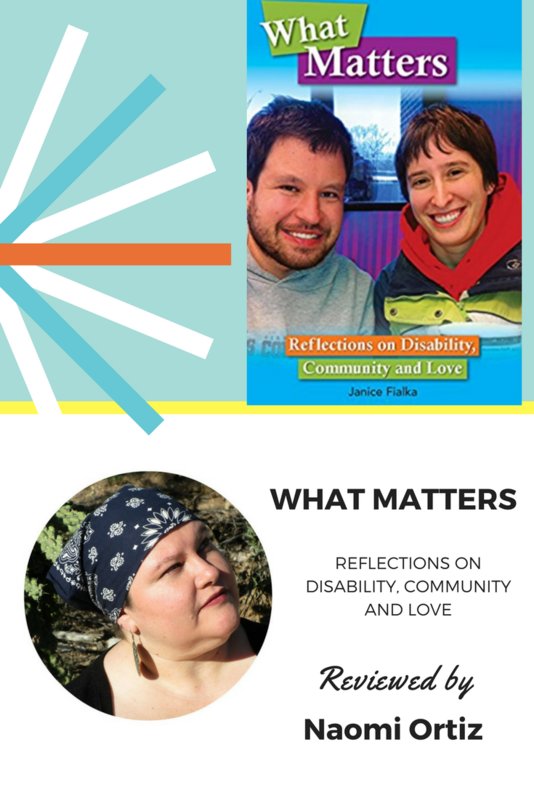 To learn more about Janice Fialka, What Matters: Reflections on Disability, Community and Love” published by Inclusion Press and to order the book, visit: Dance of Partnership. To order the book directly through Amazon, click here. 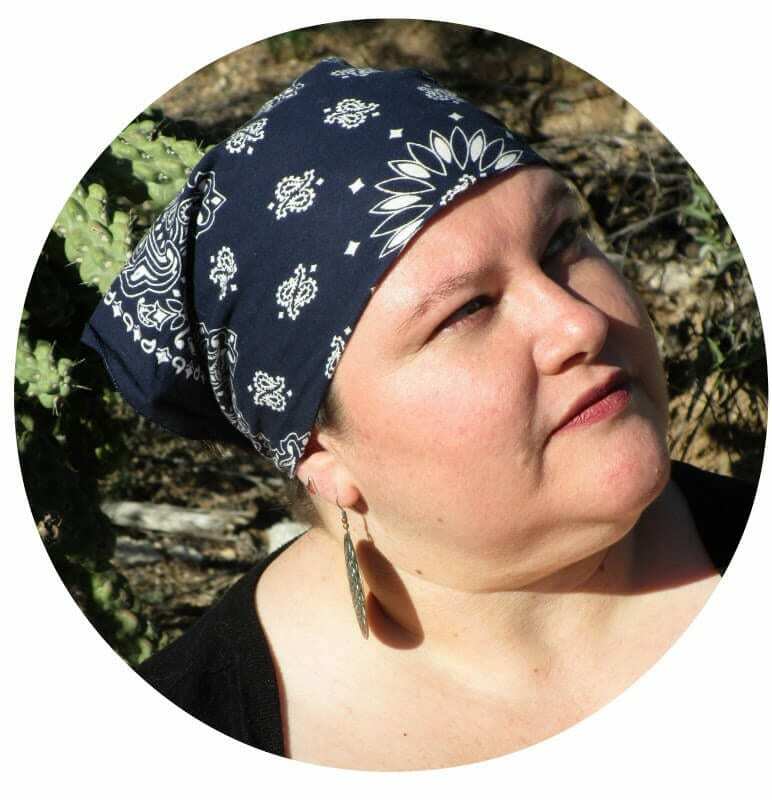 Naomi Ortiz is a writer, poet and visual artist who cracks apart common beliefs and spills out beauty. 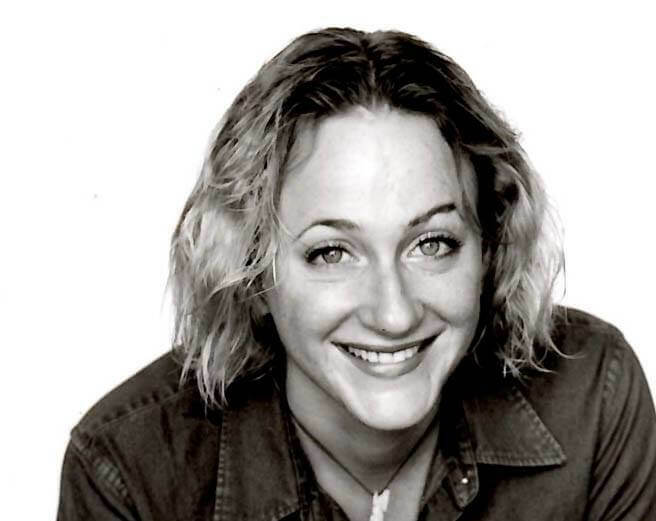 Naomi is a nationally known speaker and trainer on self-care for activists, disability justice, and intersectionality. She has conducted hundreds of workshops and trainings on a wide range of areas and has published articles, manuals and poems. She is a Disabled, Mestiza (Latina/Indigenous/White) living in the U.S./Mexico borderlands. Naomi’s upcoming book, Sustaining Spirit: Self Care for Social Justice invites and supports readers to explore the relationships between mind, body, spirit, heart and place in order to integrate self-care to survive and thrive. Sustaining Spirit: Self Care for Social Justice will be released in 2017. When ASL Products are Made & Sold By Non-Deaf, Does it Hurt the Deaf Community?